There is a big difference between a sandwich that makes you say ‘meh’ and one that leaves you speechless. You’re much too busy devouring it to even think of adjectives to define it. But what’s that defining factor in a drool-worthy sandwich? We’ll fill you in on the secret – it’s all about how it’s made. Truly, it’s an art form, so here’s a quick crash course in the art of sandwich making. Plain old white sandwich bread has its place, but it’s not on a great sandwich. You need a good canvas on which to build your masterpiece. Artisan breads, rustic loafs, something with a little sustenance of its own. Think ciabatta, sourdough or a great multi-grain bread. A great rule of thumb is to only use bread that you would eat on its own. 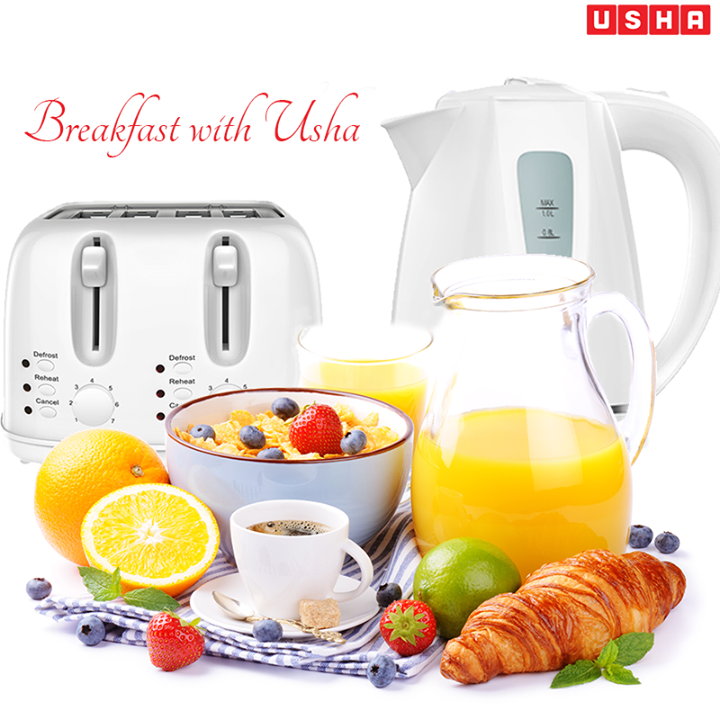 You can always try and toast the bread with a USHA toaster, to add flavour to your bread. 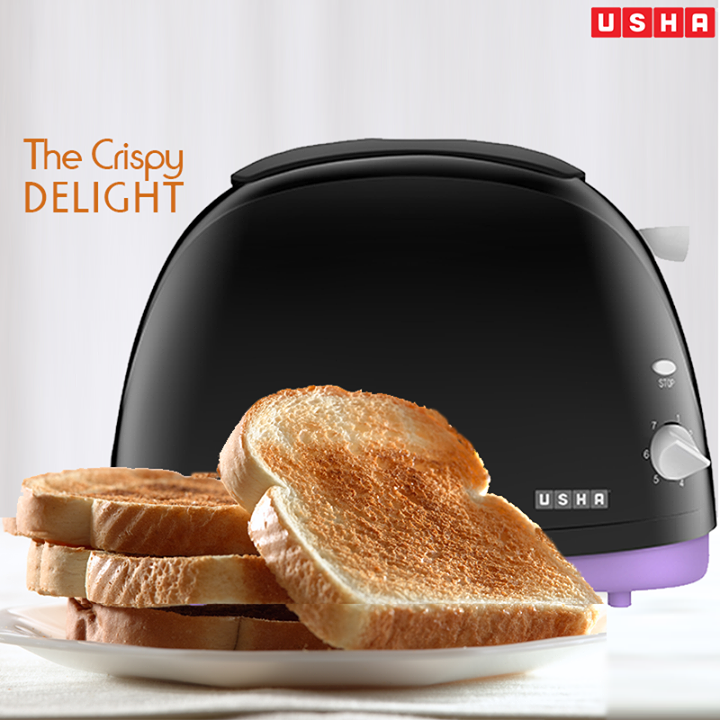 Toasters that are equipped with four bread slots, will help you get it done in a jiffy. We all have different tastes, so by all means, use ingredients you love. But might we make a few suggestions for upgrades? If you usually load up your sandwich with sliced deli lunch meat, why not try swapping it out for leftover chicken, steak, or any other meat you’ve cooked? Don’t rule out pork roast or meatloaf either – they can make an excellent sandwich filling! For the usual lettuce, try peppery arugula, watercress, or mixed greens. Feel free to expand your horizons too. Play with other ingredients. Maybe, avocado to give your sandwich a bit of creaminess, or some sundried tomatoes for a rich flavor. Remember, it’s all about building layers of flavor that work together with each other. 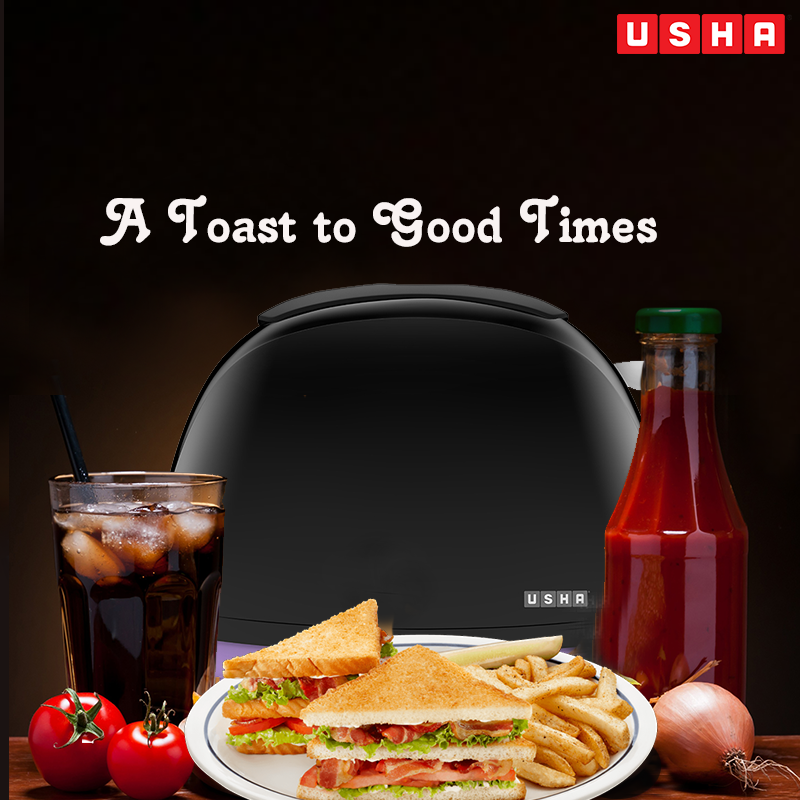 Try toasting the bread in a USHA Sandwich maker to add a crisp texture. Rule #3: Dress That Sandwich Up! Mayonnaise is good. Yellow mustard? Fine. But you know what’s even better? Garlic mayo or dijonnaise. Creating a gourmet sauce for your sandwich is as easy as taking the usual suspects and adding a squeeze of lemon juice or a bit of minced garlic, whatever it is you like. The most important thing to remember is not to overdo it. Moderation is the key when it comes to dressing. Too much and you’ll end up with an overpowering, or worse yet, soggy sandwich. 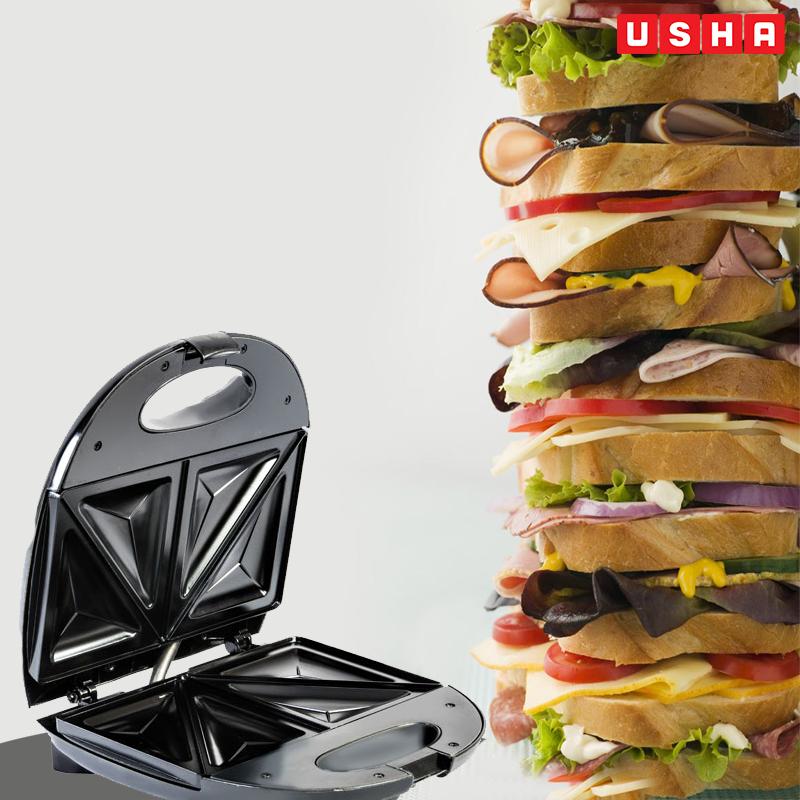 In case you like your cheese melted and sticky, use a Sandwich maker – this is specially recommended if you are using cheese slices. If you’ve purchased unsliced bread, cut your sandwich slices a little thicker than the usual pre-sliced stuff. If you’re using a sub or hoagie roll, be sure not to cut all the way through. Form a sort of cradle to hold your fillings by only cutting 2/3 of the way through the bread and tearing out a bit of the bread inside. If you’re using a creamy or oily sauce, lay that down next. It’ll form a barrier between the bread and the topping, making it less likely to get soggy. Cheese is the next step. This will help add some strength to your bread and hold the filling up better. Next, place the meat and top it off with any of the wet ingredients (i.e. tomatoes, greens, and other vegetables). Use a sandwich maker to add texture and to keep everything in place. Voila! You’ve just created the perfect sandwich. Now stop reading and bite into the edible masterpiece! This entry was posted in Healthy Eating by Blogger. Bookmark the permalink.